Simple to use 7 day, 6+1 day or 5+2 day programming options with six time / temperature settings per day. Optimum Start function ensures that the required setpoint is reached prior to the time setting being reached. 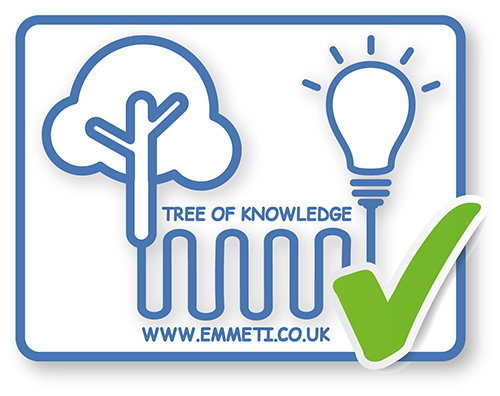 Frost protection to maintain room temperature above 5°C in severe low temperatures. Pump protection in hydronic heating installations will activate the pump at least 15 seconds every 24 hours in order to avoid any seizing. 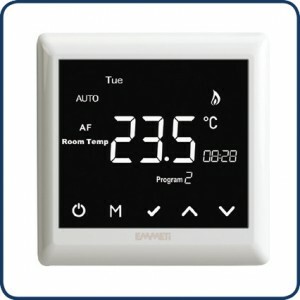 Thermostat can be set to sense air temperature only, floor temperature only or air and floor temperature together.